New clinical trial results provide evidence that high-dose immunosuppressive therapy followed by transplantation of a person's own blood-forming stem cells can induce sustained remission of relapsing-remitting MS, an autoimmune disease in which the immune system attacks the central nervous system. "These extended findings suggest that one-time treatment with HDIT/HCT may be substantially more effective than long-term treatment with the best available medications for people with a certain type of MS," said NIAID Director Anthony S. Fauci, M.D. "These encouraging results support the development of a large, randomized trial to directly compare HDIT/HCT to standard of care for this often-debilitating disease." MS symptoms vary widely and may include motor and speech difficulties, weakness, fatigue and chronic pain. The most common form of MS is relapsing-remitting MS, which is characterized by periods of mild or no symptoms interspersed with symptom flare-ups or relapses. Over years, the disease can worsen and shift to a progressive form. In HALT-MS, researchers tested the safety, efficacy and durability of HDIT/HCT in 24 volunteers aged 26 to 52 years with relapsing-remitting MS who, despite taking clinically available medications, experienced active inflammation, evidenced by frequent severe relapses, and worsened neurological disability. The experimental treatment aims to suppress active disease and prevent further disability by removing disease-causing cells and resetting the immune system. 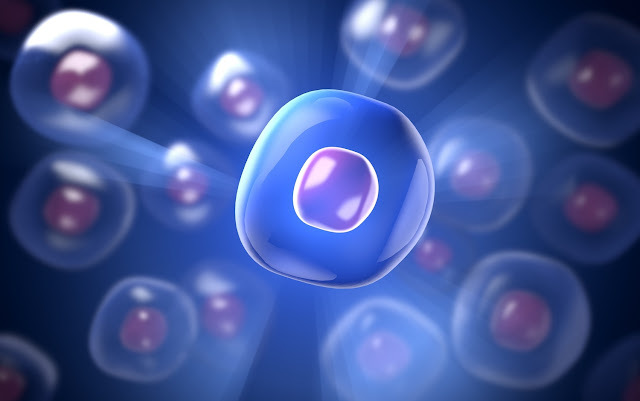 During the procedure, doctors collect a participant's blood-forming stem cells, give the participant high-dose chemotherapy to deplete the immune system, and return the participant's own stem cells to rebuild the immune system. The treatment carries some risks, and many participants experienced the expected side effects of HDIT/HCT, such as infections. Three participants died during the study; none of the deaths were related to the study treatment. "Although further evaluation of the benefits and risks of HDIT/HCT is needed, these five-year results suggest the promise of this treatment for inducing long-term, sustained remissions of poor-prognosis relapsing-remitting MS," said Richard Nash, M.D., of Colorado Blood Cancer Institute and Presbyterian-St. Luke's Hospital. Dr. Nash served as principal investigator of the HALT-MS study. "If these findings are confirmed in larger studies, HDIT/HCT may become a potential therapeutic option for patients with active relapsing-remitting MS, particularly those who do not respond to existing therapies," said Daniel Rotrosen, M.D., director of NIAID's Division of Allergy, Immunology and Transplantation.